Hmmm, you’ve reached an older feature - let’s get you up to date! 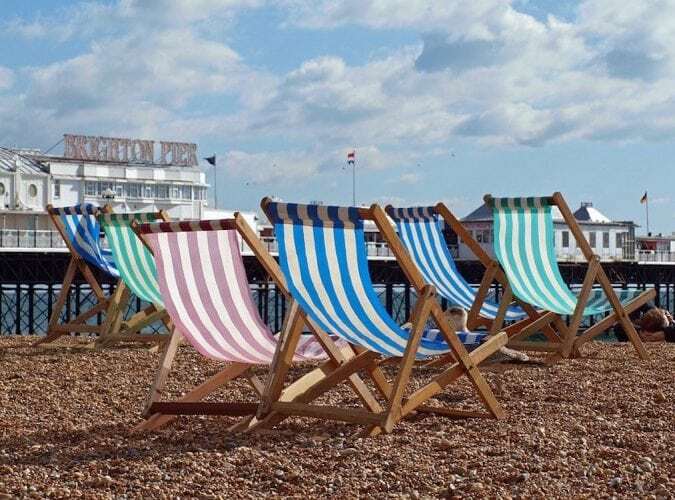 Read our latest Coastal Travel features here. Could the sky be any more forboding? 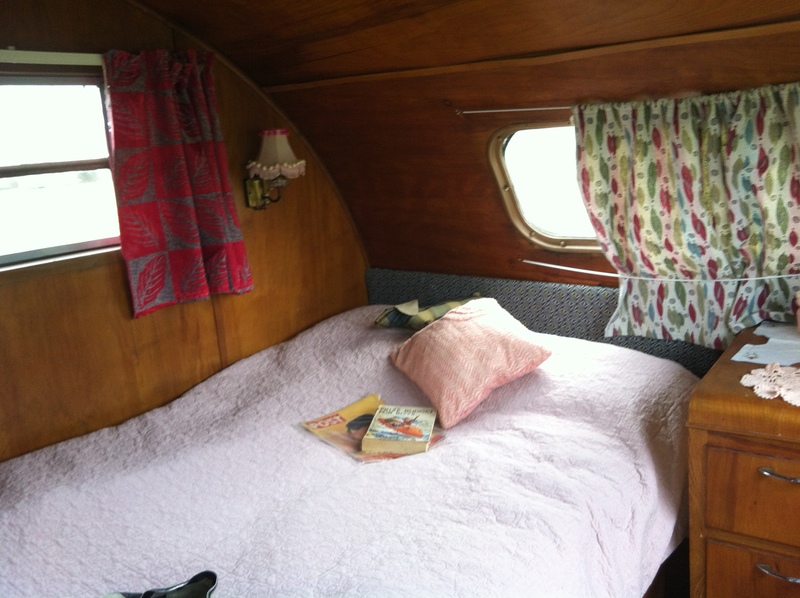 I’ve just come back from glaravaning in a 1954 Spartanette Airstream on the Isle of Wight through Vintage Vacations – our beauty is on the far right of the photo above. Apart from the natural tensions arising from 3 wriggly children in a small narrow space, it was a really brilliant trip. 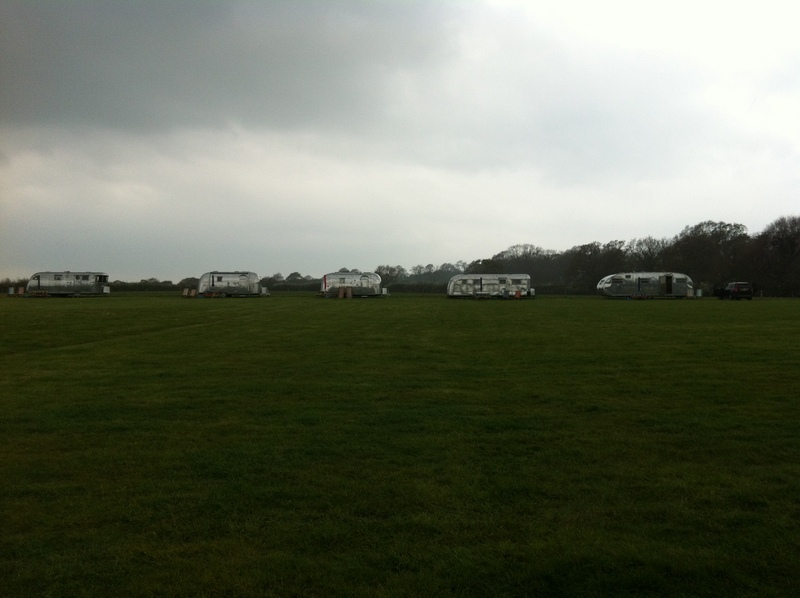 Vintage Vacations operates a dozen or so caravans in a big field just outside Ryde, so near the East coast beaches. They’re strangely beautiful, futuristic masses of gleaming metal imported in from the States, all decorated in triumphant kitsch by Helen (once a stylist on The Face and iD) and her ex-photographer husband Fraser – the complementary Babysham being a typical humourous touch. 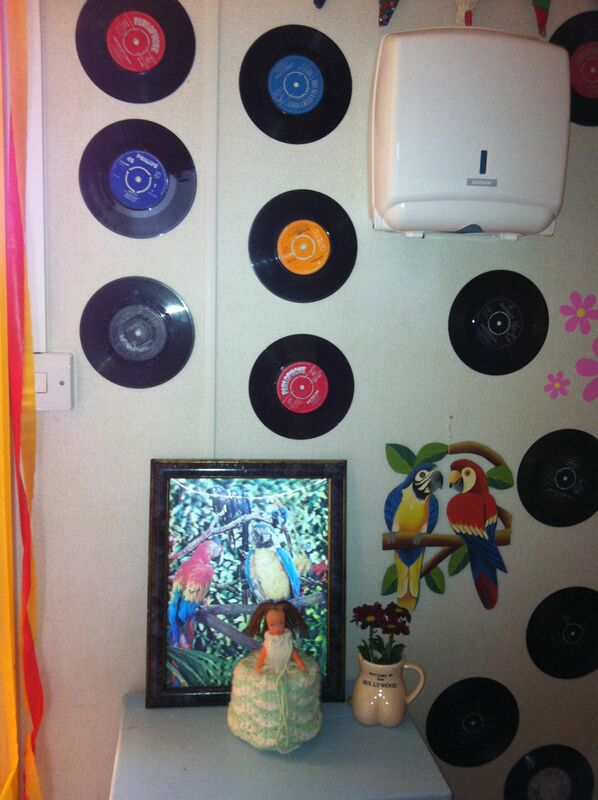 Vinyl and knitted loo covers – World of Interiors it ain’t! 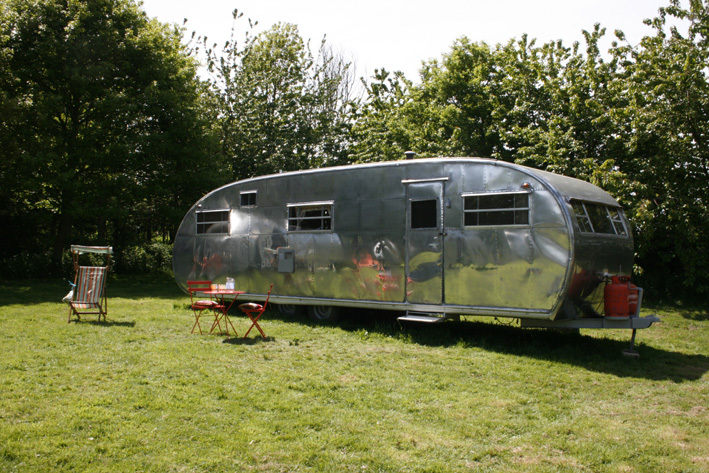 So we’re in this field, with a BBQ, stripy chairs, and whole lot of other caravaning nutters, playing swingball, swigging wine and trekking across a field very time we want a piddle. So far, so British. Not my usual style which is more palm trees, room service and attached spa, but, you know what? It was really fab. 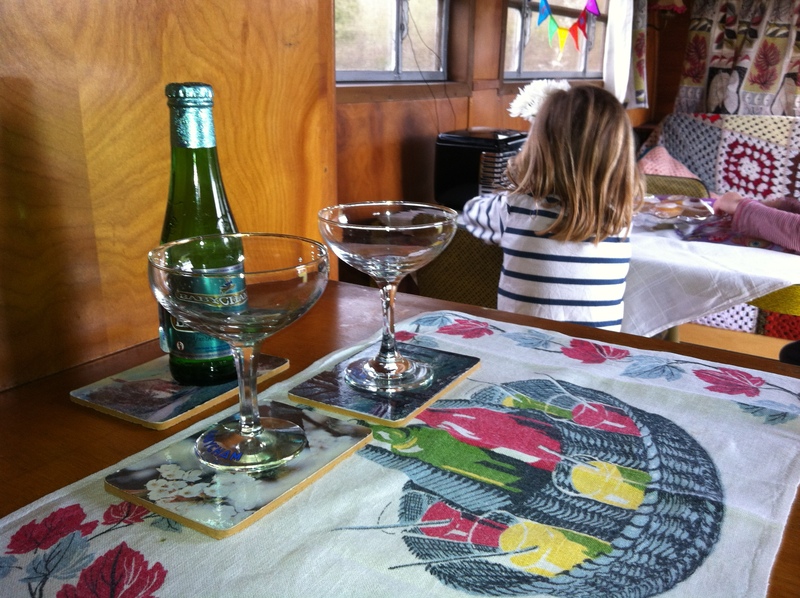 The Airstreams are cool and a bit of fun for the kids. 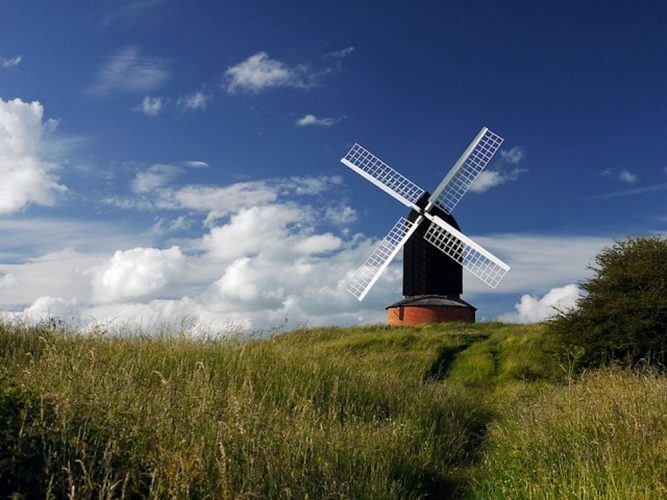 But the other thing that makes this holiday worth telling you about is the Isle of Wight itself. There’s something about it being self-contained, separated from the mainland, that has saved it from the awful homogenisation of our high streets. Even large towns here have a huge number of quirky, independent shops including a surprising amount of vintage and kitsch. The villages are pretty, the (dad of Anthony) Minghella icecream is sublime and with a car it’s supereasy to get around. 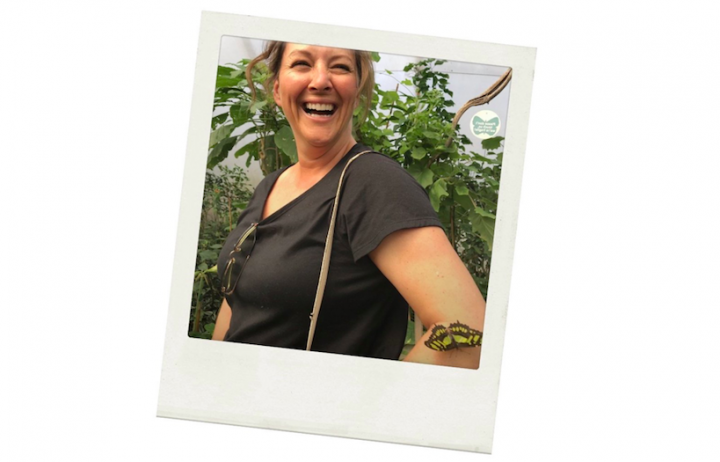 The Isle of Wight is brilliantly set up for children of all ages with castles and zoos, plus with loads of indoor stuff to do when the weather is rubbish. 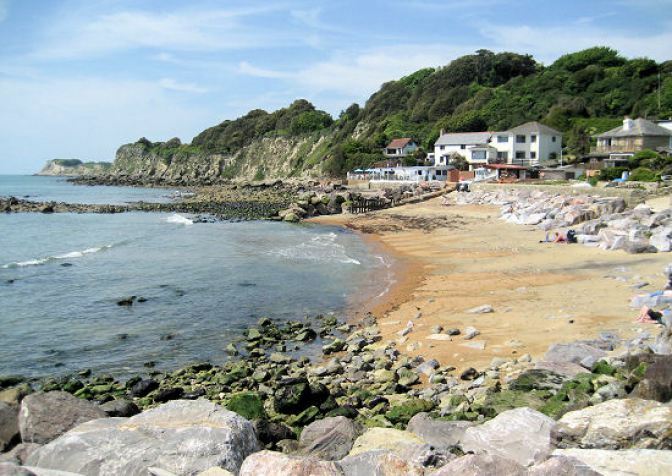 But for adults it also has Osborne House (Queen Victoria’s escape from London), fantastic car boot sales if that’s your bag, some glorious beaches and trendy little spots like Steephill Cove (above). 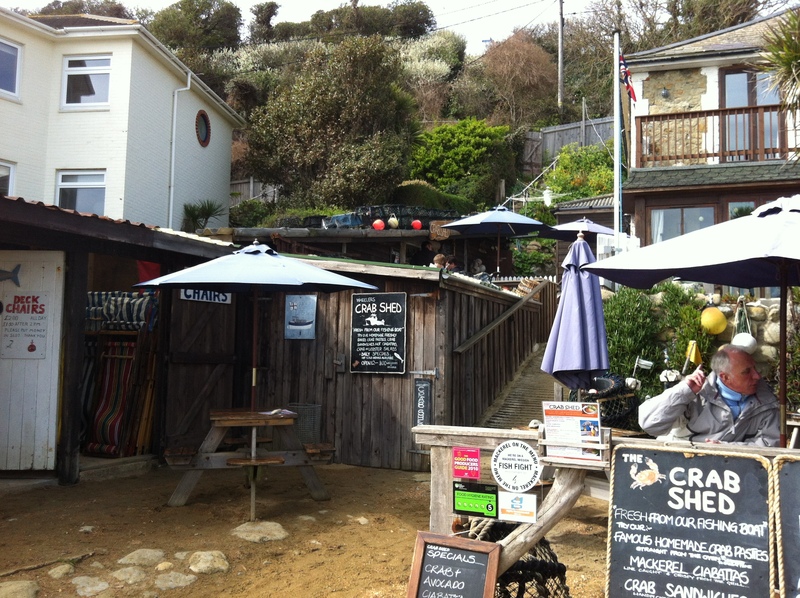 Check out its shabby chic crabbing sheds and The Beach Shack café (open every day) where we ate half pints of prawns and crab quiches. You can park near the Botanical Gardens and take the lovely walk down past the cricket club onto the beach, plus it goes without saying (but I’ll say it anyway) that the island offers probably the best sailing in the UK from Cowes. And mid-Bucks it took a only 2 hours to get there! Who knows, it could be closer for you – maybe worth a trip over the May bank holiday summer hols, or Bestival in September? I discovered Steep Hill Cove some 20 years ago to return on an annual basis and have been amazed how it has never changed in any way what so ever. Loved this piece Muddy and will always love the Isle de blanc. Isle of Wight….it draws me there at least twice a year and Steephill Cove was a really surprising and exciting find. Perfect. It’s my first port of call each time I am on Vectis! Anyone spotted the cute donkey on the hillside?